Founded 1906 in Osaka (Japan) by Rhachi Mizuno. Because of its extensive range of products this japanese brand is very well known among judo athletes around the world. Mizuno has developed over more than a century to a global player and is now one of the top suppliers of many different sports. 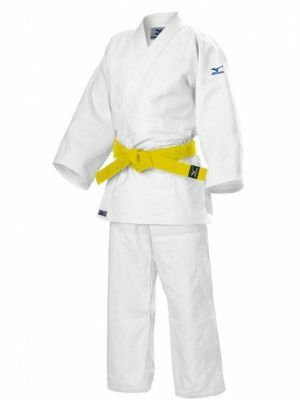 Mizuno develops its products according to the motto "expect more", therefore, the Mizuno judogi for professional athletes, which place particularly high demands on a kimono. The particular elegance of GI´s affects the carrier and creates a unique and unmistakable appearance. The comfort qualities of the material used for it have been reinforced caused of the special Japanese quality for many years. That made the suits so popular. The GI´s are supported especially by the Japanese and Brazilian national teams and for top athletes around the world.